In the FPV industry HQ Props have become extremely popular. It is standard issue for some of the top FPV pilots in the world, including Chad Nowak, Skitzo, Mr. Steele and Ummagawd. With the craze towards "Durable" props, HQ has followed suite with arguably one of the preferred size specifications within the community, the "V1S" 5x4x3. 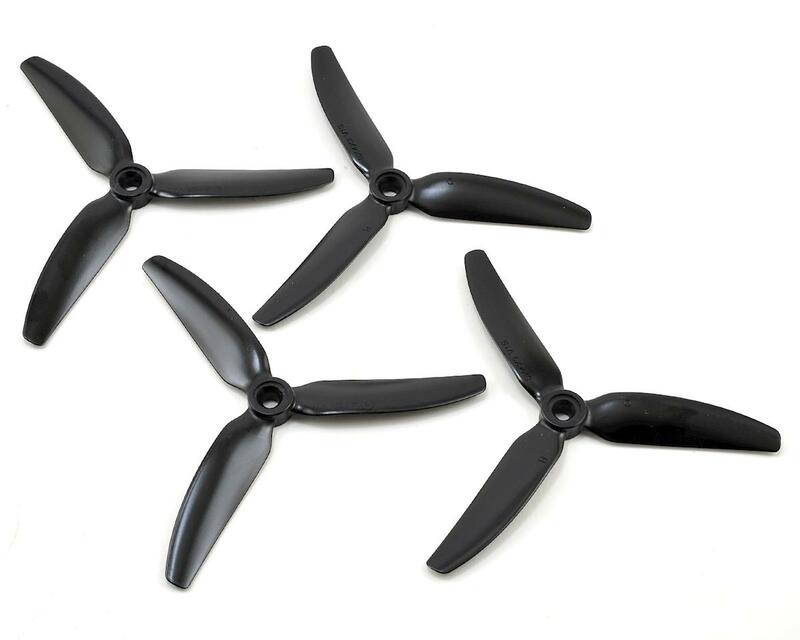 The V1S version of the ever popular 5x4x3 prop is a fresh airfoil design that was developed between HQ & Chad Nowak. This particular airfoil was designed for a few key points: efficiency, & reducing prop wash. Additionally, the "V1S" props are manufactured with durable materials, so that they can out last several crashes before needing replacement. Offered in two varities; Nylon & Polycarbonate. 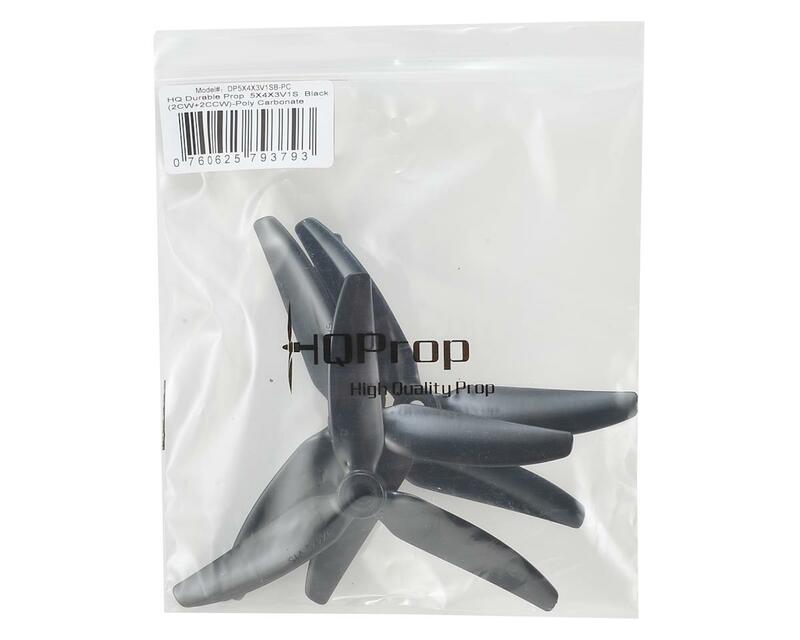 Molded with a stiffer poly carbonate Material, these props will offer improved thrust levels over the Nylon versions due to less deflection at high RPM's. The trade-off is that they will not be quite as durable as the Nylon counterparts.